Are you self-conscious about your smile due to missing teeth? If so, an implant could be the solution! 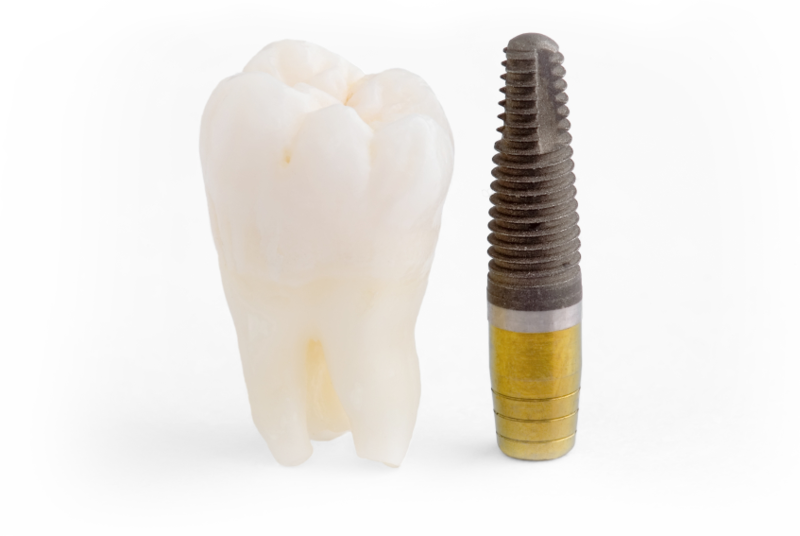 Implants are surgically placed in the jaw and function as anchors for replacement teeth. They are made of titanium, a non-allergenic bio-compatible material that is accepted by the human body. Patients with chronic illnesses may not be good candidates for implants, but we can explore solutions together. Dr. Troy Robeck received the Implant Student of the Year award while attending the University of Washington School of Dentistry. He has completed several advanced implant courses since including an intensive 50 hour program under the instruction of an implant specialist. Utilizing one of the most advanced systems available, he routinely places implants in conjunction with restoration of your smile by either of our doctors. Our 3-D dental imaging and integrated CAD-CAM system provide the Okanogan Valley's only full-service dental implant center. Technology, teamwork, and training bring the finest dentistry to you at Grillo Robeck Dental.